When choosing dresses for your bridesmaids, it is your privilege as a bride to select the colour and type of fabric. The dresses obviously should not only complement your gown, but also be comfortable and attractive for your attendants. For this reason, it’s important to take into account their style, colour preferences, figure types and budgets. The best thing is for you to go shopping with your maid of honour and one or two of your bridesmaids to see what styles they like. Once you narrow it down, you can then get input from your other bridesmaids if you desire. It is not uncommon for a bridesmaid to announce she is expecting either after or just before she has accepted your invitation to be in the wedding. One option is to allow the person to select a dress in the same fabric and colour, but in a style that is more suitable (usually a dress with an empire waist) for her figure. Some people have the dress custom-made or purchase another dress by the same manufacturer in a different style. Another option is to let the bridesmaid decide whether she wants to take on a different role at your wedding. She might take charge of the guest book or help with flower distribution for the bridal party. In this case, you might replace her with another person as a bridesmaid. Although this can be really touchy, sometimes the person really doesn’t want to be standing on her feet for a long time yet doesn’t know how to tell you without hurting your feelings. When asked to be in a wedding, it is common to get caught up in the excitement and accept the invitation without thinking it through. Being a bridesmaid can lead to unanticipated expenses; the dress,matching shoes, accessories, professional hair and makeup, bridal showers, bachelorette parties and gifts, engagement parties and gifts, wedding gift, outfits to wear to the rehearsal dinner and other parties — not to mention the cost of travel and accommodations if the wedding is out of town. 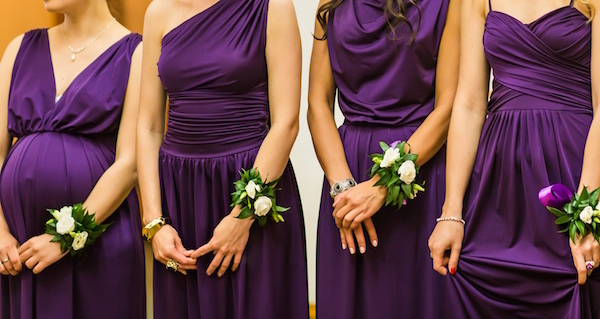 Bridesmaids usually pay for their own attire, including accessories. That’s why it’s so important for you, as the bride, to consider each person’s financial situation when asking friends and family to participate — and to shop for the most affordable price. You should give each person a graceful opportunity to decline if she cannot afford to participate or has another reason for declining. In the end, it’s really all about keeping your friends and family happy. When you look back on your wedding day, you probably won’t care as much about what the bridesmaid dresses looked like as you will about how your bridesmaids felt that day. The reason they are in your wedding is because they have been there for you in your life. You don’t want to embarrass them or make them feel uncomfortable just for the sake of your happiness. While a dress will go out of fashion, your friends and family will always be there for you. 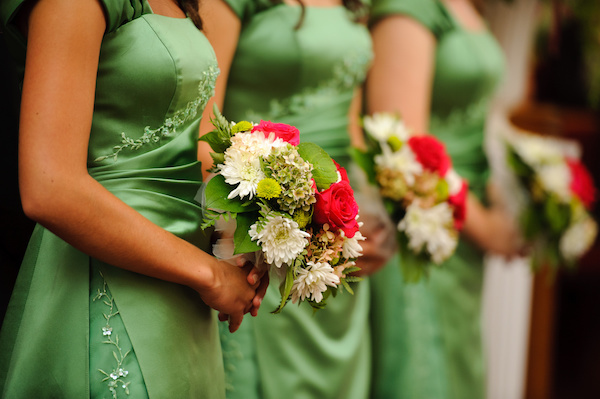 As a bridesmaid, try to be flexible and be willing to compromise to a certain extent. This is your dear friend or relative’s special day, and you want her to be happy too. Don’t let a dress that you may only wear one day get in the way of a friendship that will hopefully last a lifetime. If you really don’t like the dress, take it to a local consignment store soon after the wedding while it is still in style. The best months are in the spring, right before prom season, and in the fall, right before homecoming. Otherwise, you can donate the dress to a local charity. Someone else out there will love the dress and be thrilled to get a bargain. Then you will have made another person happy too. 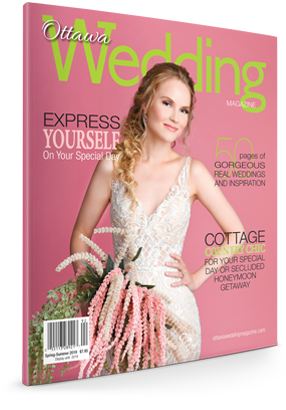 Note: This feature first appeared in the fall/winter 2013 issue of Ottawa Wedding Magazine.